illuminate’s high-performance Fotona Nd:YAG laser provides safe and effective hair removal. Unlike other wavelengths, only Nd:YAG is safe to use on all skin types by targeting the surface treatment areas while leaving surrounding tissues unaffected. 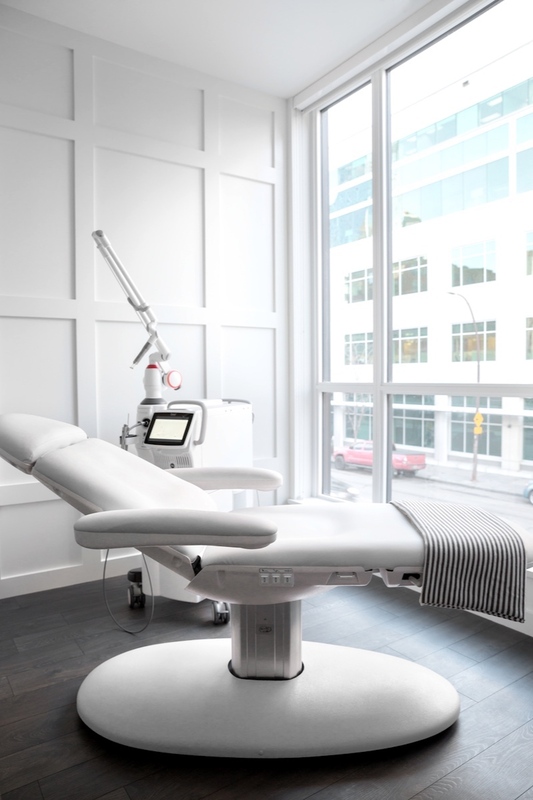 Although the success largely depends on a client’s skin and hair type, most expect a significant reduction of unwanted hair, and any future hair growth will usually be thinner and lighter, thus much less pronounced than before. illuminate’s high peak-power laser pulses provide the speed and efficiency needed to uniformly cover large scanning areas, including legs, back and chest making our treatments one of the most cost-effective, high efficacy solutions. All Illuminate *Onglowing Members receive 25% off all hair removal services! Number of Sessions: On average 6-12 treatments are needed to achieve optimal results. The number of treatments required depends on multiple factors including hair thickness, the area treated and your hair’s growth cycle. Not all hairs are actively growing at the same time and go through three distinct phases: growth, regression, and resting, treatments work by disabling the hair that is principally in the active growth phase. Since hairs will enter this active growth phase at different times, more than one treatment may be necessary to disable all of the hair follicles in the treated area. Before the Procedure: Avoid using retinol on the area being treated for a week prior to your appointment. Shaving before treatment is necessary so the laser energy can be delivered to the hair follicle. For patients who are sensitive, a numbing agent can be applied prior to treatment to increase patient comfort. During the Procedure: The treatment sensation can be described as warm or hot pulses or little like an elastic band snapped against the skin, The laser handpiece cools and soothes as it glides along your skin which greatly increases the comfort level. When the pulse of light is delivered, some patients experience a temporary mild pinching or stinging sensation. After the Procedure: Depending on the sensitivity level of the client, skin may look mildly red or slightly swollen after treatment and this may persist for a few minutes to a few hours. Cool compresses may be applied to the treatment area for additional comfort. Three to seven days after treatment you may experience what seems to be regrowth of hair; most of these hairs are being shed as a result of your treatment and are not regrowing. Between treatments you should not wax or pluck your hair, but it is permissible to shave.